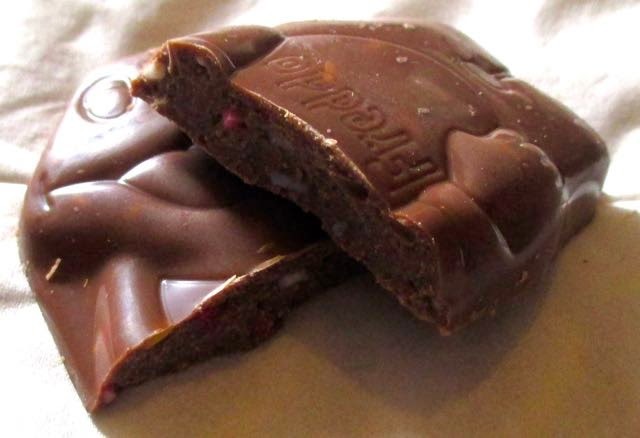 Freddos are really nice, they fill that category of when you want some chocolate, but are not quite after a whole bar, then these are just the right size for a blast of Dairy Milk. I hasten to add, there may have been changes to the Creme Egg but Freddo’s are still advertised as Dairy Milk which is certainly a good thing. This new flavour is Sprinkles and refers to hundreds and thousands. The concept of hundreds and thousands is decoration, they are pastel coloured sugar strands designed to make things they are sprinkled on look pretty. Hence the name. I was therefore expecting a very pretty looking Freddo when I opened up the wrapper, and was a bit disappointed as you can barely tell they are there. What a lost opportunity! I broke my Freddo in half to check further and because I was annoyed, and could still barely see them! Seriously Cadbury what is the point! 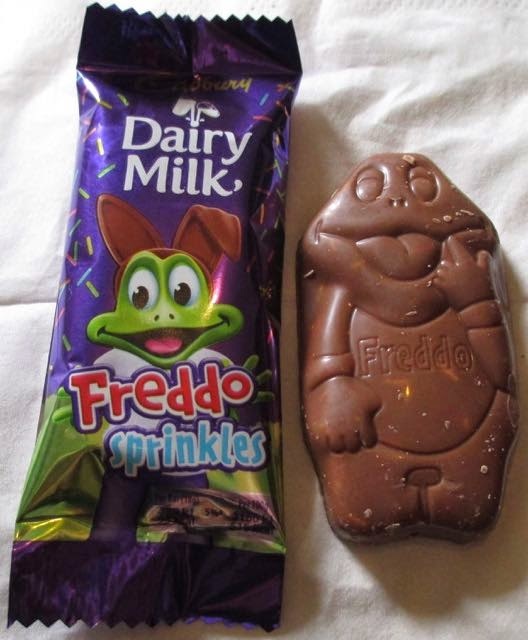 The Freddo Sprinkles tastes like Dairy Milk (a good thing) and has a slight crunch. All the colourful sprinkles can’t be seen, so it is just the texture that is affected, and even that not in any major way. It is nice because it has the nostalgic taste of Dairy Milk, but this is not playful like it should be. Oh well, another ultra safe non adventurous limited edition, I hope I’m not sensing a theme for 2015.